(Nanowerk News) Does science inspire fiction or does it work the other way around? In the case of medical technology, the long-running TV and film series Star Trek has increasingly been inspiring researchers worldwide. 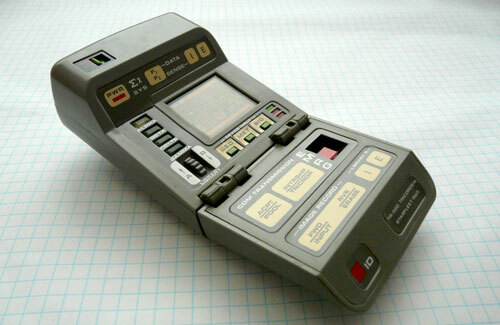 Two teams were recently awarded the Qualcomm Tricorder X Prize for developing handheld devices that can diagnose a range of diseases and check a patient’s vital signs without invasive tests – inspired by Star Trek’s medical “tricorder” device. The main winner, known as DxtER and created by US firm Basil Leaf Technologies, is actually an iPad app with artificial intelligence. It uses a number of non-invasive sensors that can be attached to the body to collect data about vital signs, body chemistry and biological functions. 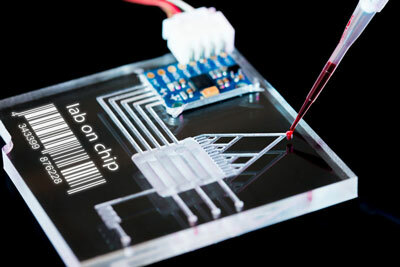 The runner-up technology from Taiwan’s Dynamical Biomarkers Group similarly connects a smartphone to several wireless handheld test modules that can analyse vital signs, blood and urine, and skin appearance. Part of the success is due to the development of a variety of technologies that make up such all-in-one systems, although they still have some way to go. Probably the most advanced are mobile vital signs monitoring devices ("Technology platforms for remote monitoring of vital signs in the new era of telemedicine"). For example, the ViSi Mobile System can remotely monitor all core vital signs including blood pressure, blood oxygen, heart rate and electrical activity, and skin temperature. It uses electrocardiogram (ECG) sensors attached to the chest and a pressure sensor in cuffs on the thumb and arm, both attached to a wearable wrist unit that feeds all the signals wirelessly to desktop or mobile device, with the same accuracy as conventional intensive care equipment. All the various sensor data from a system such as this then needs to be turned into meaningful readings – and that requires specialist software. For example, the Airstrip Technologies software can pull in information from hundreds of different types and brands of patient monitors and other equipment, as well as medical records, scan results and even messaging apps, to display a full picture of patient’s changing condition in real time. But vital signs information and images aren’t enough for a fully automated device that can tell you what’s actually wrong with a patient. The most mature technology we have in this area is for diabetes monitoring. Portable home blood glucose meters that can test a drop of blood on a paper can already be connected to mobile apps to allow diabetes sufferers to assess the severity of their condition ("A real-time, mobile phone-based telemedicine system to support young adults with type 1 diabetes").